Subscribe and stay up to date with new releases and special giveaways! Summoned by the wishes of a mad emperor, three young abominations enter a world plagued by tragedy and conflict. Following the commands of their bitter master, to kill the world’s most powerful wizard king, the three will discover a vicious cycle of revenge and despair. Will they continue to be a part of this tragic cycle, or will they find the strength to carve forth a brighter path? Gideon Joust is your average twelve-year-old boy with all the growing insecurities one would expect, following the mysterious disappearance of his father and a mother’s passing. On one fateful day, the boy’s world is turned upside down – leading to a chance encounter with a brash child warrior, Kibishi the Crimson Samurai; a murderous adolescent who is wanted for more crimes than the Devil himself. Thrust into a world of fierce adversaries, unforgettably bizarre friends and a world governed by shadowy forces that are constantly drawn to the pair, the two will discover that the only thing they can truly rely on, is each other. Buy the book now, on Amazon! Gideon and Kibishi finally made their way to the city of Valero. However it wasn’t long until trouble arrived, in the form of an ancient beast Nightmare, who rampaged through the city. Thankfully, Gideon’s friends defeated the monster – however their troubles were not over, as they heard shocking news of Gideon’s father. On top of that, Kenoke makes his entrance and challenges Kibishi to an epic battle. Gideon and the Crimson samurai will finally discover what exactly Operation Savior truly is. Sonia wakes to find herself in Heaven – the place we all hope to end up one day. However she soon finds a valuable and important piece of herself missing, despite living in eternal paradise. A longing to be close to someone special is felt deep inside her soul – causing her to question the world around her. Aided by a mysterious angel, Sonia will defy the kingdom of heaven, in an attempt to reclaim her missing past. To buy the book on Amazon click here! Growing up in the city of London, a young lady has reached her limit living in the hustle and bustle of the UK’s capital. Living with a shameless mother, adulterer father and working at a dead end job, Ophelia has just about given up on life in the big smoke. That is until she is transported to the magical world of Pecopia – a land where she is tasked with overthrowing an evil witch queen. However unlike most girls, who learn a valuable lesson of love and hope by the end of their journey – Ophelia’s only thought is one of revenge. 4 billion years the earth has existed – forming life that has continued to grow and adapt. Of all the species that have evolved, mankind has exceeded the most, from the discovery of fire, to the Internet and advanced machinery. Unfortunately, the hearts of men have changed for the worse, due to greed, corruption and manipulative warfare. As such, the wrath of the earth has been stirred and its creator Mother Gaia takes it upon herself to end the human race. Bearing the appearance of a beautiful young woman, Mother Gaia will experience the darkest hearts of mankind, with no light in sight. Political – full of scientific and religious contradictions that will leave you questioning your own morality, Mother Gaia is a reminder that nature is a force not to be reckoned with. Responsibility is not for some – especially when it comes to Isaiah, a somewhat laid back teenager with thoughts of sleeping usually on his mind. Being an underachiever is all he’s ever known – however when a loved one loses their life due to his irresponsibility, the naive teenager decides to put things right by making a deal… with death. In a world bound by conflict, orchestrated by two world powers that have fought for centuries – one teenager’s somewhat peaceful life has been destroyed, along with everything he once knew. Saved by an ancient alien species, before given their mightiest suit to achieve his revenge, the boy will become the world’s greatest threat. 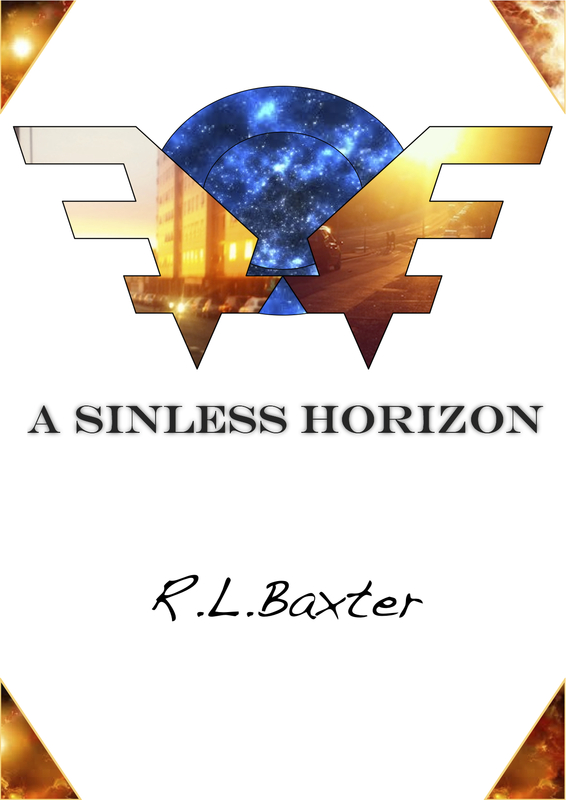 In order to dismantle the constant cycle of war, Aldara will go up against the armies of the world – in a search to find a Sinless Horizon. Within the mind of a sleeping being, seven people who are nothing but ‘figments’ of its very own imagination come to realise how unreal their existence has been. Have you ever wondered what happens when you wake up upon dreaming of people, events and worlds you have never seen previously before? While you dream of these figments, they talk, smile, play, fight, live and die. However once you wake, what happens to them all? What happens to the entire world that you create and destroy…. every single morning? 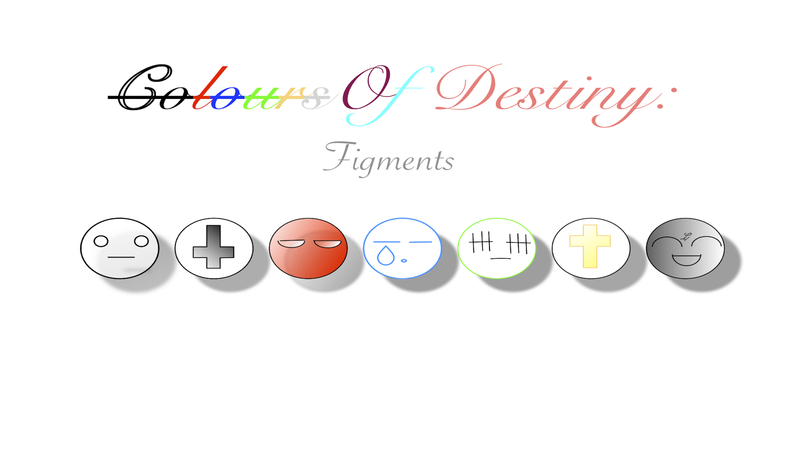 Colours of Destiny is a sci-fi visual novel, spanning eleven short episodes – suited for teens and adults alike.